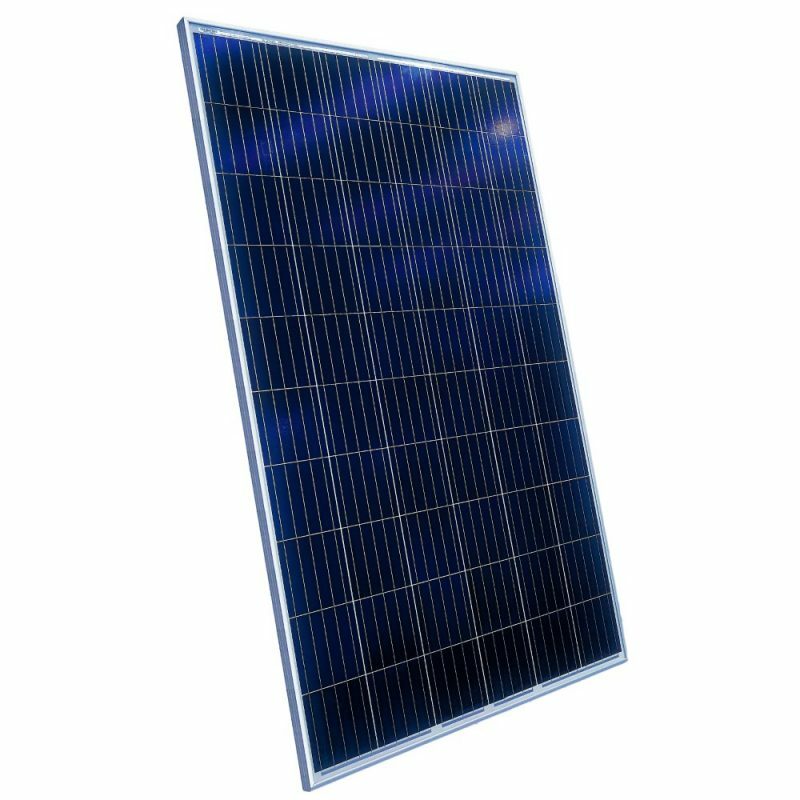 72 cell polycrystalline solar module. TÜV SÜD, SABS ISO 9001:2008 certified. 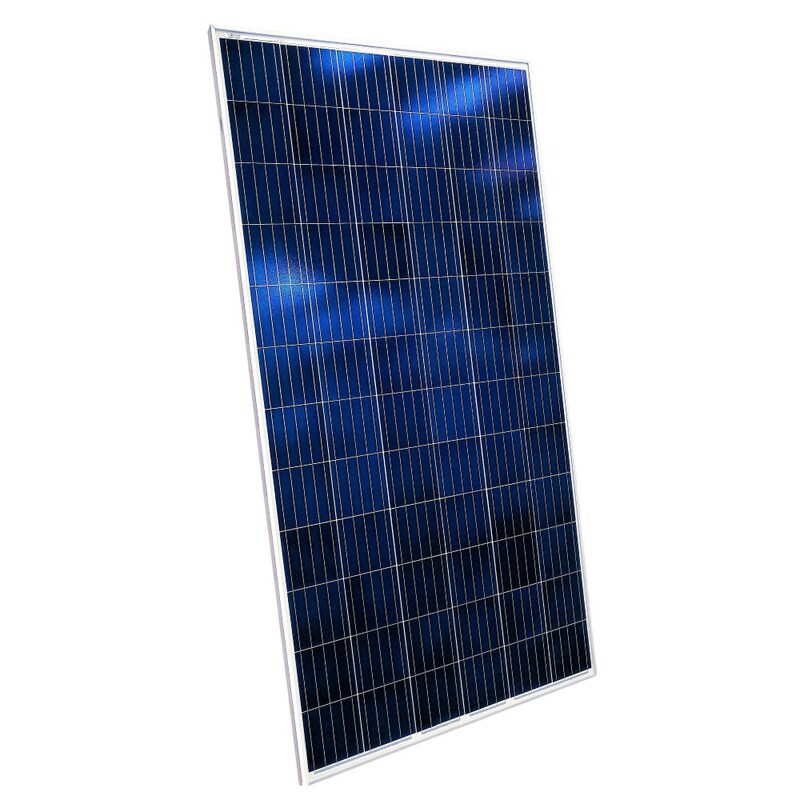 25 Year linear power output guarantee and 12 year structural warranty (read more). 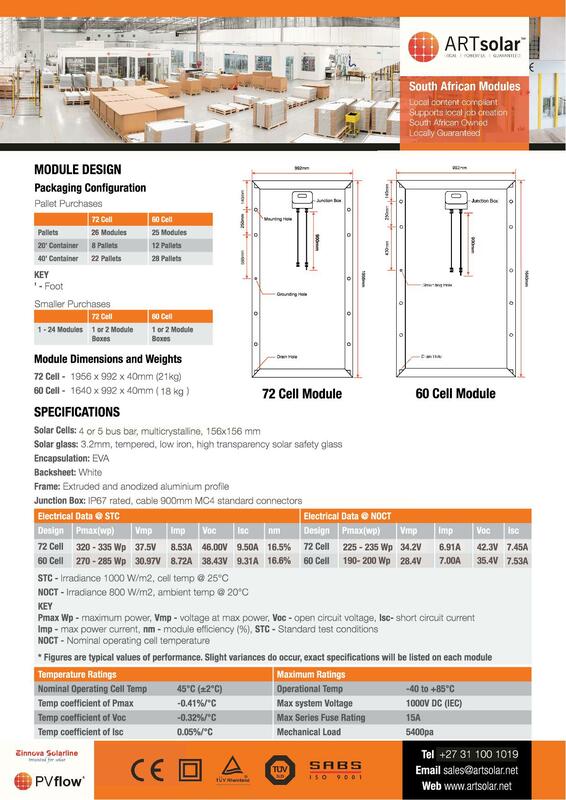 Please download the specifications below or contact us for more information. 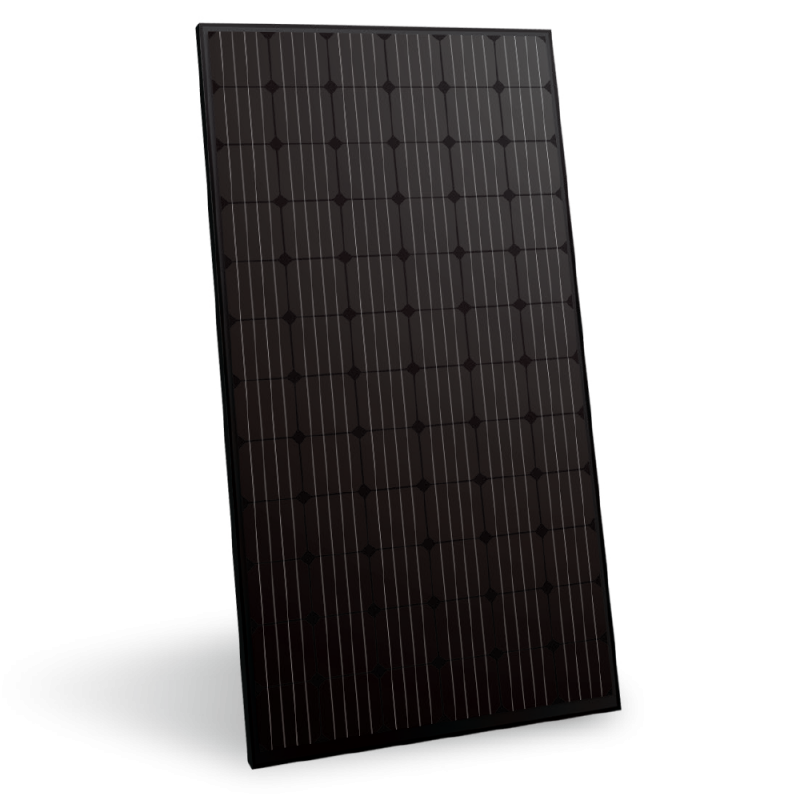 Our solar panels normally output up to 10 watts more than their rated power output and have been quality assured with both local and international quality standards. 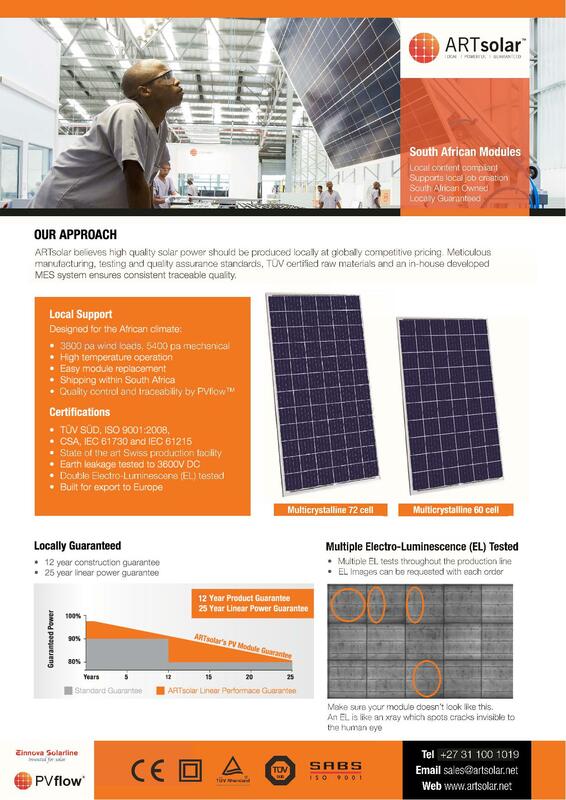 All our solar panels carry a 25 year power output guarantee and 12 year structural warranty, please view the below datasheet for more information.